Portuguese President Marcelo Rebelo de Sousa has just entered the second half of his five-year term in office, providing us with the opportunity to review the way in which he has used his powers to define a specific role for the presidency. In this piece, my attention will be centred on the use of veto powers. Veto powers are generally associated with the “pouvoir d’empêcher”, that is, the power to limit the action of the government or of its parliamentary support basis. As such, it is often assumed that its use reflects an opposition between the president and the government or the parliamentary majority. However, the political use of veto powers is somewhat more complex than this simple assertion. In order to grasp the full extent of this power and its political implications, one ought to begin by reviewing the pertinent constitutional provisions. The Portuguese Constitution of 1976, revised in the definition of presidential competences in 1982, determines in section 136 that presidents have the power to promulgate or veto legislation emanating from the government (decree-laws) or parliament (laws). In the case of decree-laws, the presidential veto is final, although the government may decide to reintroduce the same issue by means of a law voted in parliament. By contrast, vetoes applied to parliamentary laws can be superseded if some requirements are met: as a general rule, parliament must approve the vetoed bill by an absolute majority of MPs; in the case of “organic laws” (i.e., designed to lay the foundations for strategic decisions, such as the organic law of the National Health Service), external relations, limits to economic sectors (private, public, co-operative), or electoral matters, then a 2/3rds majority is required. Sections 278 and 279 deal with the possibility of presidents requesting the Constitutional Court for a decision on the constitutional conformity of any piece of legislation. If deemed unconstitutional (even if only in a specific section), then the president must veto such bill on these grounds. In this instance, the law is returned to parliament and it is either rectified by simple majority or ratified by a majority of 2/3rds of MPs (the president being obliged to sign it if ratified). c) “transitional” which takes place when a president actually vetoes legislation that is pending at the time of the election of a new parliament, or the appointment of a new government – in which case there is no judgement as to the merits but only to the opportunity of the acts. Although this could be considered as a form of “political veto”, it ought to be distinguished because presidents who use them – and there are plenty of examples– do not necessarily pass a negative judgement on the essence of the legislative act, but rather a willingness not to limit the options of the newcomers. (iii) “conflictual, when the president uses his power to oppose directly the interests of the government. Turning now to President Marcelo’s two and a half years in office, the most significant aspect of his use of the veto power is that so far he has never asked the Constitutional Court for advice (both in advance of vetoing a law, or subsequently, as was often the case before him). Two reasons may explain this behaviour. Firstly, Marcelo is a professor of constitutional law, and therefore he feels very comfortable with his own reading of the problems involved in the appreciation of each bill. Self-confidence is thus a critical element to be born in mind. Secondly, the current government and parliamentary majority seem to have been careful in avoiding the course of action pursued by its predecessors, which turned the Constitutional Court into a central political player in the years 2011-2015. Be that as it may, President Marcelo vetoed 10 bills in the last 30 months. In all instances, he issued a “political veto”. By doing this, he offered the current government and political majority ample room to introduce changes that allowed them to overcome the presidential veto without the need of a 2/3rds majority. Nine of those ten bills have subsequently been approved after the introductions of changes suggested by the president without the need to negotiate with the opposition. This is a highly significant political stance which highlights the willingness of Marcelo to distance himself from the government on issues where he disagrees with the current majority and is closer to the values of the centre-right politics of the original political family that he respects (such as the bill on surrogate mothers or the framework for political parties’ financing) without attacking the government by trying to use “constitutional” vetoes. 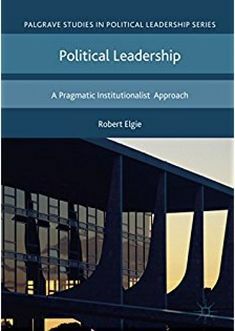 At the same time, he captures a centrality in the political process that had moved away from the presidency to the Constitutional Court in the years before his term. Apart from the ten formal vetoes, by August 2018, Marcelo had returned 18 bills to the prime minister – but none to parliament. Those bills seem to have remained in a kind of limbo, as the government does not seem to have found ways to sidestep the objections of the president. Again, this form of behaviour is destined to lower potential tension between president and prime minister, and is in line with the fact that Marcelo has so far refrained from using the mechanism of a “constitutional” veto. Many voices on the right of the political spectrum, including several in the party to which Marcelo still belongs and of which he was leader from 1996-1999, complain bitterly that he does not join in the condemnation of the left-wing government’s strategic options. However, Marcelo’s stance is the one that better suits the political culture that grants presidents with a “moderating power” and does not view them as party-based elements in the parliamentary game – a stance that was forged during Mário Soares and Jorge Sampaio terms with public applause. The very high rates of popularity of Marcelo indicate that this stance has been equally well received by the Portuguese, the consequence of which is the enlarged room for presidential intervention. Veto powers used with discretion may not be, after all, a symbol of political clashes but rather a means to implement some sort of co-governance. This entry was posted in Europe, Portugal and tagged Portugal, Presidential Power, veto power on October 16, 2018 by Rui Feijo. Since late 2015, Portugal has had a minority government led by the Socialist Party – the second largest in the House – and supported by some sort of confidence and supply agreement with the two parties to its left that provide it with a majority in critical moments. President Marcelo Rebelo de Sousa, from the centre-right, was elected a few months after the new government, was reluctantly inaugurated by the outgoing President Cavaco Silva, and distanced himself from the right-wing coalition in parliament and the legacy of his presidential predecessor who wanted the new president to dissolve the House and call fresh elections. Instead, President Marcelo Rebelo de Sousa stated publicly that the government would have until the local elections scheduled for October 2017 the chance to prove its value and capacity. In between time – and in spite of some gestures to appease his electorate – the president did not stop supporting the prime minister and never questioned his legitimacy. In an earlier post, I discussed the possibility that a form of co-government was emerging nicknamed “Costelo” (an amalgam of PM Costa and President Marcelo). This support was highlighted last June when the country was hit by a severe forest fire (with over 60 casualties) and the President stepped in to claim that “all that was humanly possible had been done”, backing up the government in the face of mounting popular shock for the failure of the civilian protection system. On October 1, local elections returned a very comfortable victory for the Socialist party – as if the government had been excused for its June failure and in the recognition that new economic and financial policies had largely turned the page of austerity, offering the prospect not only of economic growth, unemployment reduction, deficit control, but more importantly, the recovery of some purchasing power and improved conditions of access to social utilities by millions of Portuguese. The right-wing parties were defeated – and this is particularly true of the largest one, the PPD/PSD, whose leader and former PM announced that he would step down when fresh party elections are called in January. In the face of these results, there would be no reason for the president to challenge the legitimacy of the government or to change his previous stance. However, on Sunday October 15, a new wave of forest fires broke out, claiming another 45 victims. This second fire exposed the fragility not only of decades-old forest policies, but the inability of the current government to draw adequate conclusions from the June events – it had merely asked for an “independent inquiry” lasting over three months, with little having been done in the meantime to reform the civilian protection authority, which is ravaged by scandals. The shock in the country was even bigger than in June: twice the government had badly failed those who live far away from Lisbon. After a very uninspired speech by the PM, the President took a bold initiative. He addressed the country from the heart of the ravaged areas. In a short sentence, he asked for a “new cycle of policies” that will force the government to consider “what, by whom, how and when” these new policies are to be devised and implemented. He mentioned that budgetary priorities should be considered again – this was only three days after the budget had been formally presented in the House. And he made it clear that the government needed to refresh its parliamentary legitimacy – either by presenting a confidence motion or winning a no-confidence motion presented by the right wing CDS party, which had fared quite well in the local elections. Unless his plea was heard, he would make use of “all his constitutional powers” to see that the Portuguese would not be let down yet another time, implying he might choose to dismiss the PM or dissolve the parliament. His popularity soared to the point that a left-of-centre commentator wrote: this is the example we can tell our children and grandchildren when they ask us why do we elect a President by universal, direct vote. Only a small number of voices claimed that the President had overstepped his competences. The last barometer (Expresso online, 17 November) shows that the president is the only politician who has risen in popularity to a very high net figure of 62.5% (70% positive, 7.5% negative opinions). The government responded by immediately accepting the resignation of the minister in charge of Home Affairs. It held a special meeting of the cabinet to approve a string of measures to fight forest fires and reform forest policies which met the approval of the President. It announced that new items would be incorporated in the budget before the final vote. It defeated the no-confidence motion in parliament – although the left-wing partners kept a critical stance during the debate and did not approve all the government’s decisions on this issue. In brief, even if some of this activity was anticipated before the presidential speech, the government was seen as responding to the President’s ultimatum. This episode lasted less than a week but has shown very clearly that the President, who is a professor of constitutional law, interprets his relations with government not only on a merely institutional basis – as some still argue ought to be his role – but that he believes the government must enjoy political confidence. In his view, the President has the power to oversee government policies and take action if he considers them to be failing to secure minimum standards – as was the case of the forest fires. Here we touch upon a critical point in the definition of the subtype of semi-presidentialism that exists in Portugal, as the dynamics of the relations of power are clearly at stake. The constitutional definition of a dual responsibility of the PM both before the President and the parliament cannot simply be divided in two: a political confidence vis-à-vis the House, a merely institutional confidence regarding the President, as much of the literature on Portugal has sustained. Marcelo has made it clear that, as long as he is President, he enjoys the right to set political boundaries to the action of the government. Going further than merely stating “strategic goals” aimed at capturing a “broad consensus (and being timid in the actual formulation of specific policies), Marcelo is moving one step forward. Take the example of the issue of the homeless. He has publicly asked the government to prepare measures aimed at eradicating homelessness by the end of his term (2021), but rather than waiting for the prime minister to present him with the government’s proposals and discussing the matter with him, Marcelo promoted meetings (which he chaired) to which he “invited” the junior minister in charge of the dossier, plus a number of national NGO’s and, critically, representatives of the Church – intervening directly in the design of public policies in tune with his “social-christian” (and rather assistencialist) personal views on the issue. This is an example of a presidential intervention in the formulation of public policies with few precedents. Much as he is inclined to respect the formal political legitimacy derived from the existence of a majority in the House and to be willing to cooperate with the PM, President Marcelo’s speech on October 17, 2017 marked a decisive moment in the debate on the nature of the relations between the president and the PM in the Portuguese semi-presidential system in a way that emphasized the political competences of the head of state, and thus the double nature of the dependency of the prime minister before both the House and the President. There may be a time when those competences are more dormant, others when they surface more vigorously – but they remain in the DNA of Portuguese semi-presidentialism. This entry was posted in Europe, Portugal and tagged Portugal, semi-presidentialism on November 20, 2017 by Robert Elgie. The famous dictum attributed to former British PM Harold Macmillan, ‘events, dear boy, events’, helps explain the evolution of Portuguese semi-presidentialism during President Cavaco Silva’s second term in office (2011-2016). In a recently published article in South European Society and Politics, we make an an appraisal of the evolution of semi-presidentialism in Portugal over the ten years of Cavaco’s tenure in power and shed some light on the election of his successor – Marcelo Rebelo de Sousa. After being comfortably reelected in January 2011, with a 30 percentage point advantage over the second most-voted candidate, the political and economic situation of the country presented Cavaco with a difficult conundrum. The EU/ECB/IMF bailout that lasted from April 2011 until May 2014 placed important constraints on policy-making in Portugal. On the one hand, the president could give vent to popular dissatisfaction with the bailout’s austerity – and use his formal and informal powers to voice bottom-up disagreement with the government’s policies. However, this risked introducing difficulties into the implementation of the Memorandum of Understanding (MoU), which could spark the wrath of the international creditors. On the other other hand, by staying idle, Cavaco faced the risk of unpopularity in public opinion. Cavaco’s decision to give his tacit support to the implementation of the MoU had an important negative impact in his popularity, which, in turn, curbed his political influence. In the final months of his second mandate he was a lame-duck president, with increasing difficulties to use his non-formal powers. For example, in the turbulent government formation process following the October general elections, Cavaco Silva’s influence, or lack thereof, curtailed his capacities to liaise a deal between the two main parties, the Socialists and the Social Democrats, to form a grand coalition. Rather, a sub-optimal solution, from Cavaco’s perspective, was reached: a Socialist minority government with the tacit support of the extreme-left Communists and Left-Bloc. Typically, Presidents have been the most popular political figures in Portugal, enjoying support levels above party leaders and other office-holders. Figure 1 depicts Cavaco popularity between 2011 and 2016. In January 2012, a sharp drop in popularity hurt Cavaco’s political influence after his public statements on how austerity would have a negative effect on his personal finances and how difficult it would be for him to pay for his personal expenses. Overall, at the end of his mandate, the institutional figure of the Presidency had its prestige and influence severely eroded due to Cavaco’s unpopularity in office. The 2016 presidential election took place against this backdrop. In addition, the months leading to the presidential election had witnessed the unfolding of some of the most dramatic events in Portuguese democracy, with a difficult government formation process. The presidential election had 10 candidates, an unprecedented figure since Portugal held presidential free and fair elections in 1976. Marcelo Rebelo de Sousa, the right-wing candidate supported by the Social Democrats and the Christian Democrats, seemed poised to win the election, with his high levels of popularity garnered over decades as a political pundit in a popular television show. On the left, a myriad of candidates was trailing Marcelo’s lead in the polls, fighting for an opportunity in the second round. Sampaio da Nóvoa, a highly respected academic figure, earned the support of some of the founding fathers of Portuguese democracy in the Socialist Party. The candidate lacked, however, name recognition by median voters, which would have a negative impact on his result. Maria de Belém, a former Socialist minister, launched her bid to the presidency urged by a faction within the Socialist party. The Socialist party and the Prime Minister chose not to endorse any of the candidates. The Communists presented Edgar Silva, a former priest with low public visibility, while the Left Bloc put forth Marisa Matias, an MEP and a rising star in the party. In addition to the mainstream candidates, there were five independent candidates, looking to build upon the anti-party sentiment and to surf the discontent wave grassing in Portugal. The campaign had a remarkably low mobilization. The hollowing of the presidential campaign resulted from the perception of the irrelevance of the president’s role, ensuing Cavaco’s choice not to help mitigate austerity and to give his (at least) tacit support to the bail-out measures. For all its problems, the role of the president in the political system was not debated during the campaign. Instead, candidates chose to have a personalized campaign, depoliticizing most of their campaign actions, focusing on personal contact with the population and in making a character judgment of the candidates. Marcelo Rebelo de Sousa, the leading candidate in the polls, followed this strategy strictly in the hope that this would deflate the importance of the elections, allowing him to be elected in the first round. On January 24th, 48.66 per cent of registered voters went to the polls to elect a new president, the lowest turnout in odd-numbered presidential elections, which have traditionally been more competitive for their importance in selecting a non-incumbent president. Marcelo Rebelo de Sousa won 52 per cent of vote, with a catch-all coalition. To be sure, his score surpassed the aggregate score of his supporting parties (PSD and CSD), just three months before, by adding 15.1 to the share of those two parties. Sampaio da Nóvoa came second with 22.9 per cent of the votes, falling just 2 percentage points short of forcing Marcelo into a second round, a remarkable feat for an unknown academic figure. Marisa Matias came third, with 10.1 per cent of the votes, yielding the best presidential score in the history of the Left Bloc. In contrast, the Communists had a grim electoral result, with their worst result ever, with just 3.9 per cent. Maria de Belém, the other candidate from the Socialist area, scored just 4.2 per cent, an extremely bad result for the former Health minister. Surprisingly, for all Portugal’s economic woes, anti-system candidates had very modest scores, totaling 6.84 per cent of the vote for 5 candidates. What can we expect from a Marcelo presidency? On the surface, President Marcelo differs little from his predecessor. Both Marcelo and Cavaco Silva were previous leaders of the PSD; both had the backing of the PSD and the CDS; and both won their presidential elections on the first round with a margin of 30 percentage points over the second-placed candidate. Yet his first months in office suggest that Marcelo is trying to distance himself as much as possible from his predecessor’s legacy. Indeed, in this initial period President Marcelo has actively courted public opinion, cultivated a supra-partisan stance and avoided tensions with the Socialist government of António Costa. This contrasts sharply with how Cavaco Silva’s presidency ended: an increasingly withdrawn and unpopular political figure, perceived by the left as a partisan president and unable to forge the consensus he sought between PSD, PS and CDS – most notably, in the aftermath of the 2015 legislative elections. President Marcelo thus appears to seek to re-establish the presidency after a period of hollowing out of the presidency which also shaped the presidential elections of 2016. However, the end of Cavaco Silva’s presidency does not solely differ from the initial Marcelo presidency: it also stands in stark contrast from the initial period of Cavaco Silva’s own presidency. Then, just as with Marcelo, Cavaco Silva was an overwhelmingly popular president (with an average balance between positive and negative evaluations of +52.8 per cent throughout 2006) who maintained an ‘above party’ stance and avoided friction with a Socialist government – indeed, so much so that prime minister Sócrates told President Cavaco in December 2006 that ‘we like working with you’. Cavaco’s undoing was largely the result of a deteriorating economic, social and political situation that culminated in a bailout. Marcelo – who is widely reputed as a master political tactician – will need all his tactical nous to avoid repeating Cavaco’s fate, not least as Portugal’s economic, social and political situation remains uncertain and precarious. This entry was posted in Europe, Portugal and tagged Portugal, semi-presidentialism on July 29, 2016 by Robert Elgie. Rui Graça Feijó – A New Configuration for Portuguese Semi-Presidentialism? Recent elections (legislative in October 2015, presidential in January 2016) have changed the political landscape in Portugal. This piece aims to assess their impact upon the configuration of Portuguese semi-presidentialism. The Portuguese government system has been basically stable since its adoption in 1976. Only once (1982) has there been a constitutional revision that addressed the distribution of powers among state organs. No significant institutional change has occurred since then. Politically, however, the story is more complex. The 1987 elections returned the first single party majority. This gave the PM a prominent position, which has been characterised as the “presidentialism of prime minister” (Moreira 1989). Marina Costa Lobo (2005) has suggested that the “presidentialization of politics” manifested itself in the enhanced role of a PM who had been anointed with a direct mandate. After 1987, a non-written rule existed whereby the election of parliament was combined with a parallel “election” of the PM, reducing the room for decisions for president and parliament, as if being the leader of the largest party was a sufficient condition for acceding to the premiership. Only one PM failed to meet this criterion (Santana Lopes after Barroso left for Brussels in mid-term), and this was credited with weakening his legitimacy. This rule contrasted with the previous practice (the first parliament saw 4 different PMs). The rationale was that it would counteract the instability of the first years of constitutionalism and offer accrued legitimacy to the leader of the largest party in the context where a new government did not require a positive vote of investiture. The 2015 elections were held when presidential powers were curtailed as he was serving his last six months in office. Faced with a situation he politically opposed, Cavaco considered alternatives that included keeping the defeated PM as a caretaker until fresh elections could be called, or resurrecting the “governments of presidential initiative” that had been the hallmark of President Eanes’ first term – not unlike solutions found in Italy (Monti) and Greece (Papademos). In the end, he bowed to the parliamentary majority and European pressure on budgetary matters. One of his legal advisers, António de Araujo, claimed that a new configuration of Portuguese semi-presidentialism was emerging: a “parliamentary semi-presidentialism” (2016). However, this may be a hasty conclusion. This is the view he most certainly still holds of his powers. It came as no surprise that he said he would “review” his support for government in the fall of 2017 when local government elections will be held. This means he has not relinquished any of his prerogatives, including those that refer to the survival of government. A new configuration of Portuguese semi-presidentialism is thus emerging: both directly elected institutions – parliament and president – have their roles enhanced. The “election” of the PM has lost its importance. It is clear that more than depending on direct popular support, the PM responds politically both to the President of the Republic and the Assembly of the Republic, and both organs are keen to exercise their full competences. Without implying an institutional modification, these developments amount to a new model for Portuguese semi-presidentialism, where the PM is no longer the only central figure. This entry was posted in Europe, Portugal and tagged Portugal, semi-presidentialism on July 25, 2016 by Robert Elgie. Last Sunday, Portugal elected the fifth president of its democratic Third Republic. Marcelo Rebelo de Sousa, 67 years old, is a professor of constitutional law and a long time member of the center-right PSD, over which he presided in the late 1990s. However, he’s probably best known among the general public as a political pundit, after having held a weekly political commentary show for many years, first on the radio (in the early 1990s) and then on the TV (since 2000). Endorsed in the election by his own party and by the CDS (a smaller party on the right), he got 52% of the vote (about 2.4 million votes), thus dispensing with a second round. Turnout was 48.8%. Although slightly above the 2011 elections, this a low figure. First, presidential elections such as this one, where the president does not run (there is a two term limit), typically have higher turnout levels (70% on average since 1976), in contrast with the less competitive cases when the incumbent president runs (60% on average since 1976, 46.5% in the last such election, in 2011). 48.8% this means means it was the lowest turnout ever recorded for an election without the incumbent running. Second, turnout was also low from a comparative point of view. If we start from a list of European semi-presidential systems and look for the turnout rates in the most recent presidential elections held there (from IDEA’s Voter Turnout website), we see that Portugal’s turnout rates have been very low recently. The 2016 rate, although an improvement over 2011, still ranks among the lowest in these countries’ recent elections (see Figure 1). In other words, there is a clear mismatch between the important powers enjoyed by the Portuguese president —including, among others, the discretionary ability to dissolve parliament, appoint the Prime Minister, veto legislation and refer bills and laws to the Constitutional Court — and the level of electoral mobilization reached in recent elections. Part of the explanation may be structural, as turnout has been decreasing throughout in Portugal both in legislative and European elections. However, some specificities of the election may also account for this. Marcelo Rebelo de Sousa presented a campaign budget of 157.000 euros (170.000 US dollars, 119.000 British pounds), a ridiculously small amount. Contrary to common practice, there were no campaign billboards or posters of him to be seen across the country. That a candidate can win a presidential election without any major conventional mobilization efforts is interesting and deserves attention. Part of the explanation is that Rebelo de Sousa started out with a stratospheric advantage over all other nine candidates in terms of public notoriety, fed by a decade and a half of television appearances and reinforced by discrete year-long ground efforts near local chapters of the PSD. For him, “lowering the heat” to the bare minimum was clearly the preferable strategy, decreasing the salience of the campaign and thus making it as hard as possible for his opponents to overcome their notoriety gap. Besides, he also understood quite soon that he was not the preferred candidate of his own party’s leadership. The PSD continued throughout most of 2015 to toy around with the possibility of endorsing Rui Rio (former mayor of Oporto) or even Durão Barroso (former EU Commission President). Thus, Marcelo had to impose himself to his own party. This he ultimately achieved, after all potential opponents withdrew. But he still could not count with the mobilization efforts of the PSD party machine, and he knew it. After having meticulously distanced himself from the PSD/CDS center-right cabinet in his political commentaries throughout the last year, he also proceeded to make himself as palatable as possible to the centrist and even center-left electorate. After the tense and polarized political environment that followed the October 2015 legislative elections — which included the fall of a new short-lived minority PSD-CDS government and its replacement by a PS minority cabinet supported in parliament by the Left Bloc and the Communist Party — Rebelo de Sousa avoided taking strong stances on almost all of the issues raised during those last months, refusing to commit to any systematic opposition to the left-wing government and presenting himself as a moderate president aiming at “reconciliation”. “I am the left of the right”, he said. If pre-election polls are to be trusted in this regard, he did manage to broaden his appeal to a segment of the leftist electorate, while remaining hegemonic among PSD and CDS voters. The latter were probably too concerned with the possibility of ending up with a left-wing president alongside the current left-wing government to care about Marcelo’s unwillingness to cater to their disappointment with recent political developments. It is true that, as he started dropping in the polls (from about 62% in late December to 53% in the last week of the campaign), some feared that his moderation and his effort at “lowering the heat” of the campaign would end up in a failure to mobilize his support base and avoid a second round. But these fears were unjustified. The Socialist Party (PS) ended up not officially endorsing any candidate, and the party cadres divided their support between Sampaio da Nóvoa (a left-wing independent and former Rector of the University of Lisbon) and Maria de Belém (a former Socialist minister). Together, they got no more than 27% of the vote, about 1.25 million votes, five percentage points and almost 500.000 votes below the (already disappointing) result of the Socialists in the October 2015 election. Belém’s result (4.2%) was particularly catastrophic, and certainly not alien to a controversy in the late campaign about her opposition to the withdrawal of a life-time subsidy for MP’s. However, her lag vis-à-vis Sampaio da Nóvoa had started earlier, and in a sense also seems to be linked to the general theme in this campaign: while Rebelo de Sousa became president regardless of his own party, “party” did next to nothing for Belém, with many Socialist voters turning their hopes instead in the direction of the independent Sampaio da Nóvoa. A 27% aggregate result is worrying for the Socialists. However, it is also a reflection of Rebelo de Sousa’s “long campaign” strategy: becoming a seemingly unbeatable favorite from early on, he conditioned everybody else’s response, including the PS’s. The Socialists failed to find a single strong candidate willing to challenge Marcelo and ended up with two people that, regardless of their personal merits, are political lightweights. One thing could have seriously derailed Marcelo’s strategy and its repercussions to the overall campaign: if former Socialist PM António Guterres, currently UN High Commissioner for Refugees, had decided to jump into the fray. But Guterres seems instead interested in a candidacy for UN Secretary General and, if that fails, there are interesting and highly prestigious non-political jobs waiting for him back in Portugal. Finally, a note about the performance of the candidates supported by the Left Bloc (BE) and the Communist Party (PCP). Marisa Matias, from the BE, got about 10% of the vote. That’s 460.000 votes, merely 30.000 below the score of the BE in October (in a more participated election) and 170.000 more than the best BE presidential candidate ever. This contrasts starkly with the abysmal performance of the Communist Party candidate, Edgar Silva, a virtually unknown former priest: 4% of the vote, the worst result ever by a candidate endorsed by the PCP. This result confirms and expands that of the 2015 legislative elections, where the BE clearly surpassed the Communists. Whether this means that the BE will be finally able to overcome the past volatility of its electoral base and definitely replace the Communist as the main party to the left of the PS remains to be seen, but this is clearly the most dangerous threat to Communists’ role in the political system that the party — the oldest, best organized, and most socially rooted in Portugal — has ever faced. That the survival of the Socialist minority cabinet depends on both the PCP and the BE adds additional uncertainty about how the response of the former to this threat will affect cabinet stability. In his victory speech, president-elect Marcelo Rebelo de Sousa talked about “national unity”, “social cohesion” and the need to address “social injustices that the crisis has increased, but without endangering financial solidity”. This may sound like a bunch of generalities spoken by a powerless figurehead president, pleasing all sides and alienating nobody. Generalities they may be, but Portuguese presidents have never been powerless or irrelevant. Nor have they been particularly predictable. In 1990, by the end of Mário Soares first term as president, people debated whether it still made sense to popularly elect a President what had turned into a sort of “Queen of England”. But in his second term, Soares quickly proceeded to become the main source of opposition to the government and, since his tenure, more than one cabinet was led to its demise with the active collaboration of a president. So it is wise not to make any rash judgments on the basis of this victory speech. It is true that, like others before him, the new president will be constrained by the so far irresistible lure of reelection five years from now (all previous Portuguese presidents successfully went for a second term). In the past, this has helped keeping first term presidents in check, forcing them to aim at the median voter and at the fulfillment of the most general expectation seem to have Portuguese have of the presidency: that it should be a vigilant but mostly neutral and impartial arbiter of politics. However, facing a minority cabinet, and with the present level of political, financial and economic uncertainty in Portugal, playing that relatively modest role may become difficult for the new president. At the very least, whenever Rebelo de Sousa needs and wants to act, he can do so as one of the least politically constrained presidents Portugal ever had, having imposed himself on his party, being elected with little help from it, and having no favors from campaign funders he has to pay back. So what kind of president will he be? Unfortunately, now we won’t have Marcelo the pundit speculating about Marcelo the President. Or will we? Even that is unpredictable. This entry was posted in Europe, Portugal and tagged Portugal, presidential election on January 26, 2016 by Robert Elgie. Carlos Jalali – The President’s Role in Government Formation in Portugal: Is Discretion the Better Part of Power? The October 2015 legislative elections in Portugal have raised the prospect of a significant change in the Portuguese party system. As Lydia Beuman noted in her election report, the election results have raised the prospect of an unprecedented entente between the Socialist Party (Partido Socialista, PS) and the parties to its left, the Portuguese Communist Party (Partido Comunista Português, PCP) and the Left Bloc (Bloco de Esquerda, BE), to form a left-wing government. At the time of writing, the negotiations between the left-wing parties are virtually complete, with the Socialists and Left Bloc approving the deal, and the Communist Party’s Central Committee deciding on it today. The prospect of a left-wing government has also generated substantial interest in the powers of the Portuguese president with regard to government formation. Since the short-lived (and ultimately failed) attempt by President Eanes to appoint presidential-inspired governments that circumvented the political parties in 1978-79, the president’s power of appointment of prime ministers has been largely disregarded. Indeed, presidential practice since then has been to appoint as prime minister the leader of the most voted party or list, and all of these PMs then saw their governments successfully invested by parliament. This pattern may explain why Siaroff (2003) classified the Portuguese president as not having discretionary appointment powers since the 1982 constitutional revision. However, as we shall see next, the Portuguese constitution grants considerable discretionary power to the president with regard to the appointment of a prime minister. So what is the process of government formation in Portugal? The constitution stipulates that “The President of the Republic shall appoint the Prime Minister after consulting the parties with seats in the Assembly of the Republic and in light of the electoral results” (article 187, no. 1). This Prime Minister, as formateur, then proposes a government to the President, who appoints the rest of the cabinet: “The President of the Republic shall appoint the remaining members of the Government upon a proposal from the Prime Minister” (article 187, no. 2). – “Rejection of the Government’s Programme shall require an absolute majority of all the Members in full exercise of their office” (article 192, no. 3). If a government programme is rejected by parliament, the entire process of government formation is started anew. As can be gleaned from the constitutional provisions, the president has considerable discretion in terms of appointing a prime minister. While the constitution states that he must do so “in light of the electoral results”, this proviso does not remove presidential leeway. The process of government formation in the aftermath of the 2015 legislative elections bears this reading out. Having met with all the parties with seats in Parliament, President Cavaco Silva formally appointed the outgoing prime minister and leader of the centre-right Social Democrat Party (PSD), Pedro Passos Coelho, as prime minister on October 22nd. This appointment took place even though the leaders of the left-wing parties (which together have a parliamentary majority) all announced they would reject this government, stating their preference for the appointment of the leader of the Socialist Party as prime minister. The Passos Coelho government will have its programme discussed in parliament this Monday and Tuesday (November 10th and 11th). Barring a last minute coup de théâtre, such as the rejection of the deal with the PS by the Communist Party’s Central Committee or a rebellion by Socialist backbenchers (both highly unlikely scenarios), this government is set to fail its investiture by parliament. This will trigger the automatic resignation of the government (article 195, no. 1(d) of the Constitution: “The Government shall resign upon rejection of the Government’s Programme”). The process of government formation will then be restarted. The uncertainty associated to this forthcoming ‘second stab’ at government formation again highlights the president’s discretion over appointing a prime minister. Rumours have emerged in the press that President Cavaco Silva may opt not to appoint the leader of the Socialist Party as prime minister, preferring instead to have a caretaker government until fresh elections can be called (parliament can be dissolved in approximately six months, as the constitution precludes dissolutions in the initial six months after a legislative election – article 172[i]). The veracity of these rumours is at best uncertain: Cavaco Silva has always been a very guarded politician, and his circumspection is unlikely to have faded in this final (and quite likely most significant) act of his political career. Moreover, judging from the debate this prospect has generated, such an option would not be very popular on the right either. However, the fact that the possibility of President Cavaco Silva not appointing the leader of the PS as prime minister exists (and is being discussed) is in itself a reflection of the degree of presidential discretion over prime ministerial appointment in Portugal. [i] There has been much talk in Portugal that the current political impasse is facilitated by the fact that President Cavaco Silva is in the final six months of his term of office (which ends in March 2016), when a president is precluded from dissolving parliament (also in article 172). However, even if the President were not in his final six months, fresh elections would still only take place in April/May 2016, because of dissolution is barred in the first six months after a parliamentary election. Carlos Jalali (D.Phil., University of Oxford, UK) is Assistant Professor at the University of Aveiro, Portugal, and is currently a visiting scholar at Brown University, US. His research is on Portuguese political institutions, parties and electoral behaviour, published in Party Politics, South European Society and Politics and Journal of Political Marketing, among others. This entry was posted in Europe, Portugal and tagged government formation, Portugal, president on November 9, 2015 by Robert Elgie. Tensions are mounting between the ruling centre-right coalition and the Constitutional Court after the latter recently rejected three measures proposed by the government in the 2014 national budget. Opposition parties have called on President Cavaco Silva to dissolve parliament and call for an early general election because of the government’s recurrent breaches of the constitution and alleged attempts to influence the court’s decisions. Over the last few years, the Constitutional Court has reviewed the legality of various austerity measures agreed with the “Troika” – European Commission, European Central Bank, and the International Monetary Fund – in return for the €78 billion loan package granted to Portugal in May 2011. Indeed, over the past three years the Court has struck down nine such measures. The Court’s latest rejection of three fiscal measures has forced the government to search for alternative measures to ensure the state’s deficit falls to 4 per cent of the GDP this year and 2.5 per cent next year, as required by the Troika. On 12 June Finance Minister Maria Luís Albuquerque announced that the government would forgo the final instalment of €2.6 billion due under the international bailout programme because the Court’s decision prevented the government from complying with the conditions set out in the programme. Portugal officially exited the international bailout programme on 17 May 2014. The Court’s latest rejection of the austerity measures has intensified the already strained relationship between the government and the Constitutional Court. On 5 June, during the closing of a conference rather ironically titled “Democracy and new Representations”, Prime Minister Pedro Passos Coelho, the leader of the Social Democratic Party (PSD), fanned the flames by saying that the Court needed “better judges” who should be subject to “greater scrutiny”. The Prime Minister also called for the Court for issue a “political clarification” regarding its decision. So far, the court has refused to do so on the grounds that “it does not need to tell the government how to govern”. The Constitutional Court comprises thirteen judges. Ten judges are appointed by parliament – five by the ruling coalition, and five by the main opposition party – the Socialist Party (PS). The other three judges are co-opted from other courts according to a selection made by those judges already elected. The government’s negative attitude towards the Court has enraged Portugal’s main opposition party, the Socialist Party (PS), which has called for the President’s to intervene to maintain “their regular functioning.” Smaller opposition parties such as the Left Bloc (BE) and the Portuguese Communist party (PCP) have called for early elections. Meanwhile, the PS has itself become embroiled in a fierce leadership battle. Following its poor performance in the May European Parliament (EP) elections, the mayor of Lisbon, António Costa, has (once again) announced his readiness to run for the PS leadership, thereby challenging the incumbent party leader António José Seguro. While the PS won the most votes (31.47%) in the EP elections, the results were worse than expected. After three years of austerity, the PS just received 123,435 more votes than the ruling coalition (PSD/CDS-PP), which came second with 27.71% of the votes. The PS is to hold a leadership election on 28 September. Amidst institutional tensions, opposition parties have been urging President Cavaco Silva to intervene to resolve the “political crisis”. So far, the President, affiliated to the ruling PSD party, has remained silent. Ironically, snap elections might work in favour of the ruling coalition. According to the latest polls, electoral support for the PS has further declined since the EP elections. The Constitutional Court declared unconstitutional two provisions of the 2012 budget law and four of nine austerity measures introduced in the 2013 national budget law. On 30 May 2014, the Court rejected another three measures proposed by the government in the 2014 national budget. The three measures included cuts to public sector wages, pensions and health allowances. This entry was posted in Europe, Portugal and tagged early election 2014, institutional conflict, Portugal, President Cavaco Silva on June 24, 2014 by Lydia Beuman.